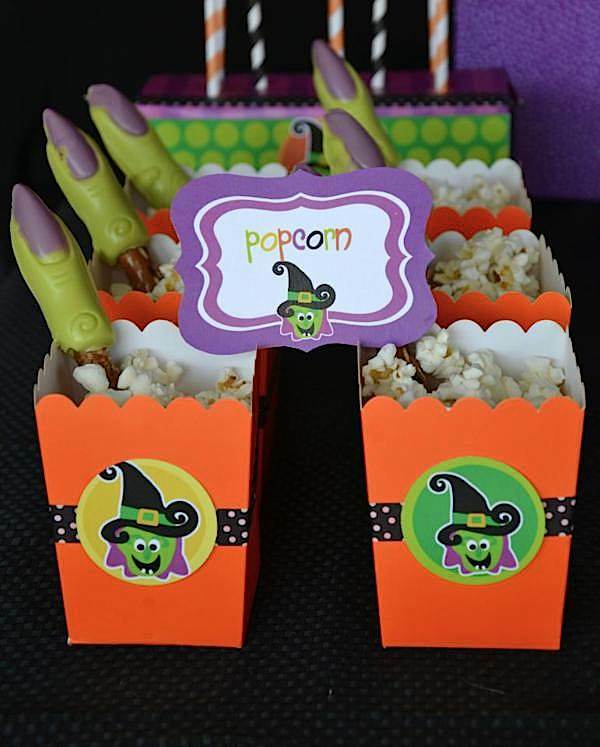 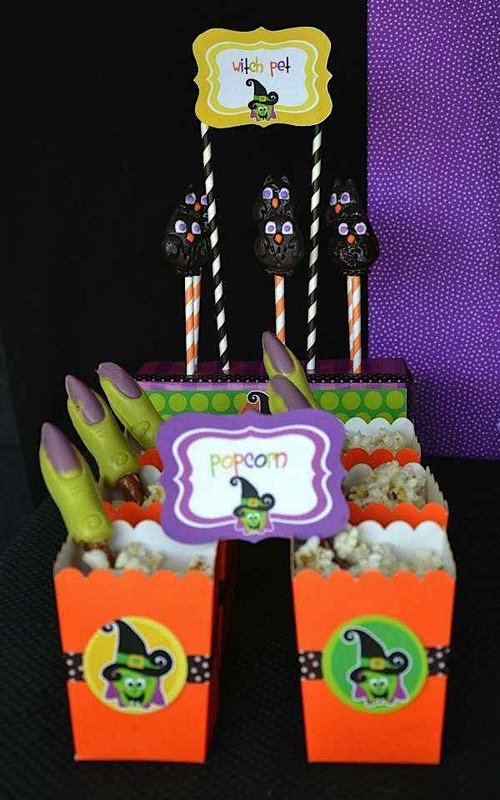 This adorable ‘THE WITCH IS IN’ CHILDREN’S HALLOWEEN PARTY was submitted by Cris McGrath of Crissy’s Crafts. 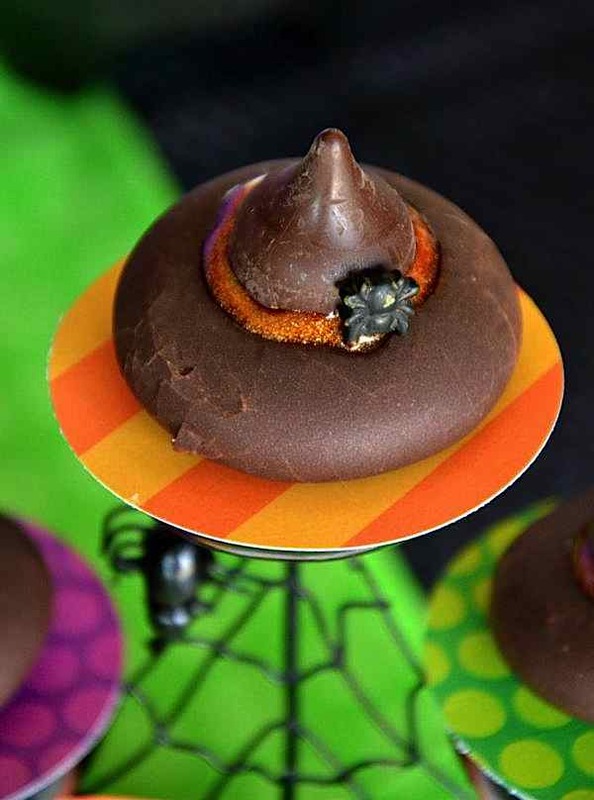 Halloween is always fun with the many imaginative party ideas that our readers come up with! 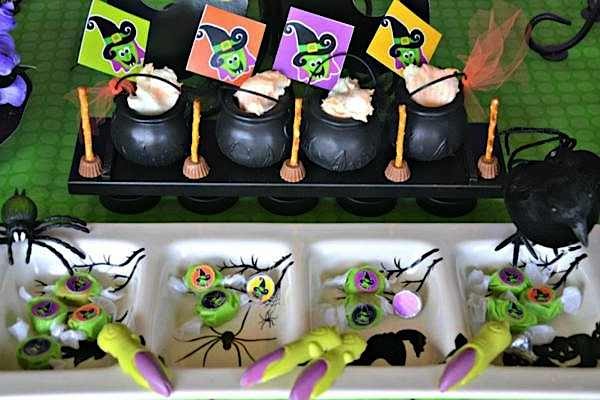 This party will delight witches, ghosts, and vampires alike! 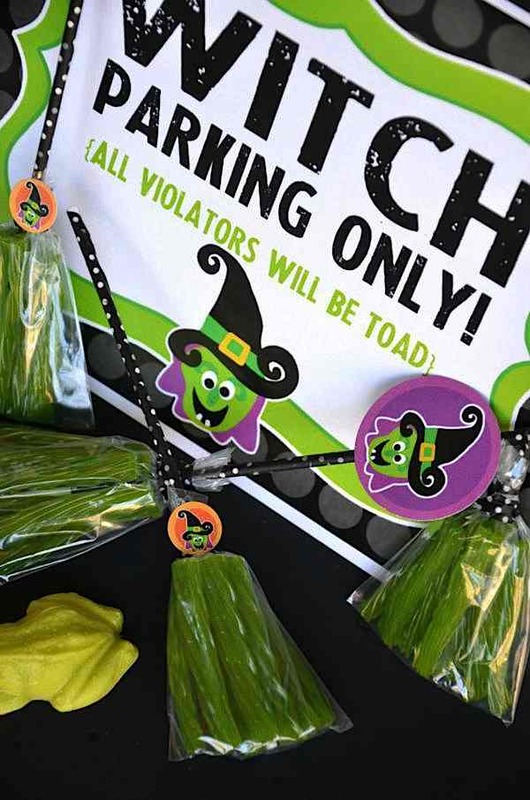 Please enjoy the party and don’t forget to speak the magic trick-or-treat words! 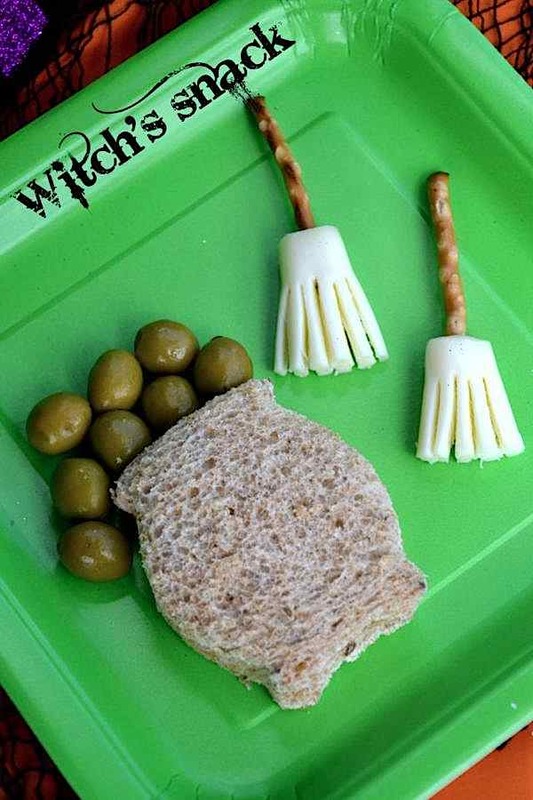 The witch always knows a good spell to cook up a great trick OR treat! 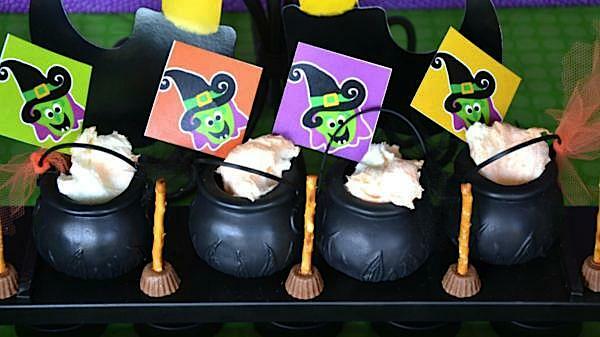 Before our witches hit the sweet table, they enjoyed some delicious witches’ brew sandwiches and edible brooms (cheese stick and pretzels). 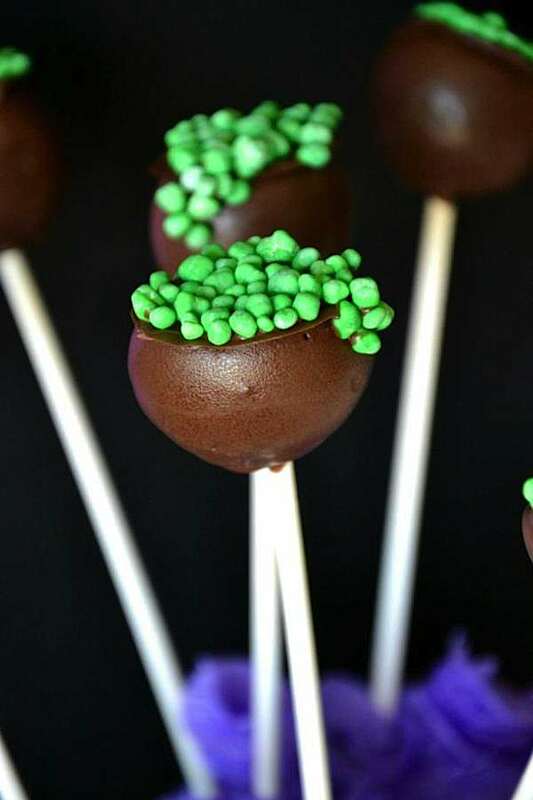 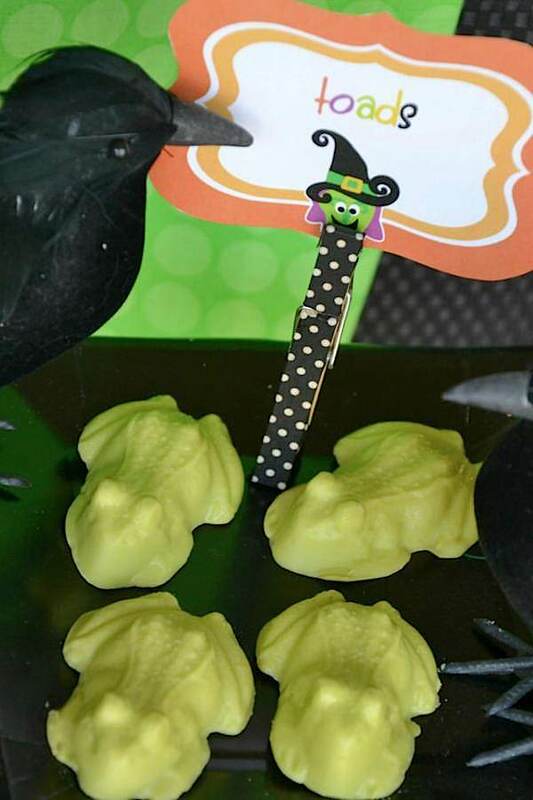 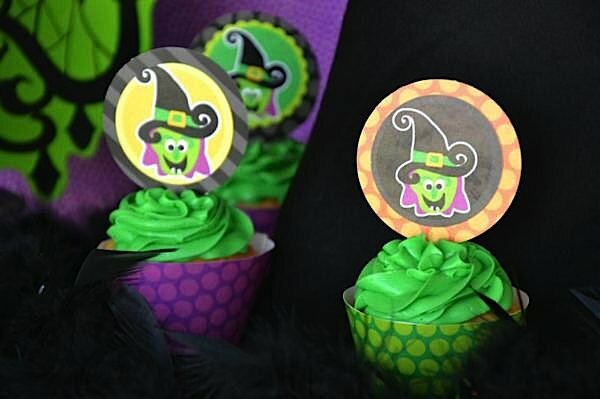 Some of our treats were cotton candy brew, cauldron cake pops, witch hats (chocolate covered cookies with a kiss on top), witch pops (dressed up Dum Dum lollipops), toads (chocolate frogs), wicked witch’s rings (lollipop rings), sweet brooms (mini Reese’s and pretzels) and witch’s chocolate fingers, to name a few. 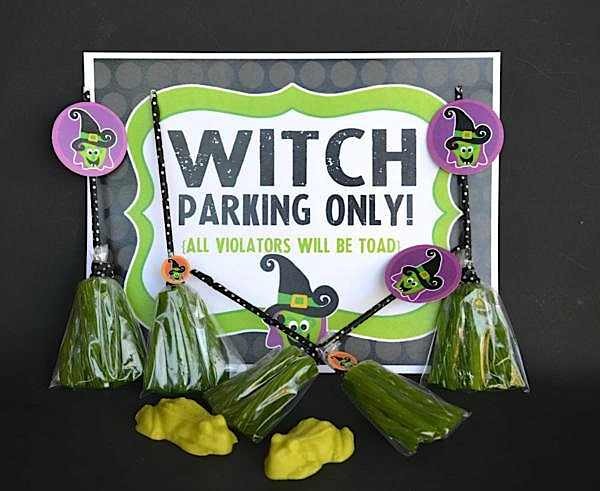 What creative ideas Cris always has! 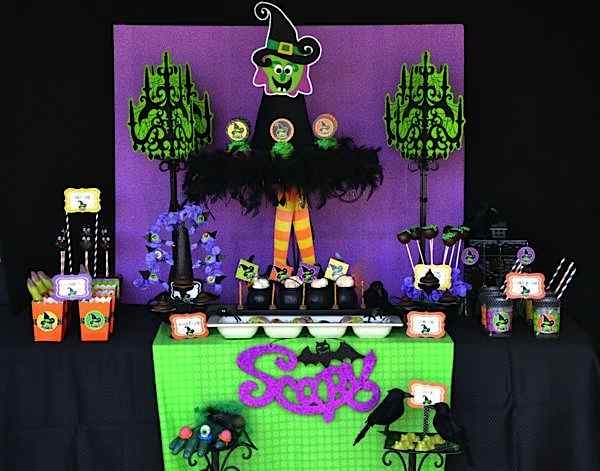 Love the witch centerpiece on the dessert table and those little witch brooms are ADORABLE!